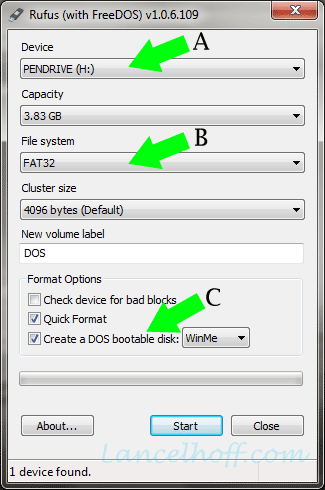 How to Boot and Run DOS from a USB Flash Drive. In the following simple solution, I show you a simple way to Put DOS on a USB device using a nifty little tool created by Pete Batard, called Rufus. This tool resembles the HP USB Format Tool, includes the same features, and really makes it easy to Create a DOS Bootable USB Key. Restart your PC, set your system BIOS to boot from the USB drive, reboot and enjoy!